It is estimated that 35 million men in the U.S are affected by male pattern baldness or Androgenetic Alopecia.”Andro” refers to androgens testosterone, dihydrotestosterone, involved in the development male–pattern hair loss (MPHL) and “genetic” refers to the inherited predisposition necessary for MPHL to occur. 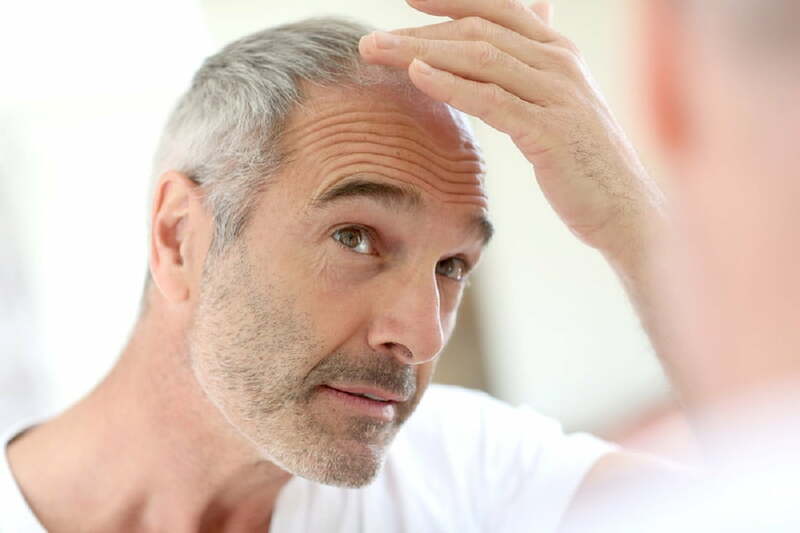 In men who develop male pattern baldness, hair loss may begin any time after puberty when the level of androgens in the blood rises. With age hair density diminishes. There is no way of predicting the end result of hair loss in a young man with early male pattern baldness. Hamilton and later Norwood have devised a classification system, classifying the progression of male pattern baldness. The first visible change is a recession in the temporal areas and/or frontal hairline. For that matter, 96 percent of mature Caucasian males who happen to experience a receding hairline are not necessarily destined to further lose their hair. In general though, if a man has relatives who have lost hair in a recognizable male pattern, he can expect to lose his hair in a similar fashion. Over the last three years, more than 200,000 referred to DHI Medical Group for medical advice concerning their alopecia. DHI Medical Group has launched a very sophisticated Unique Diagnostic System for Alopecia, and the DHI Total Care System for the life lasting treatment of hair loss.